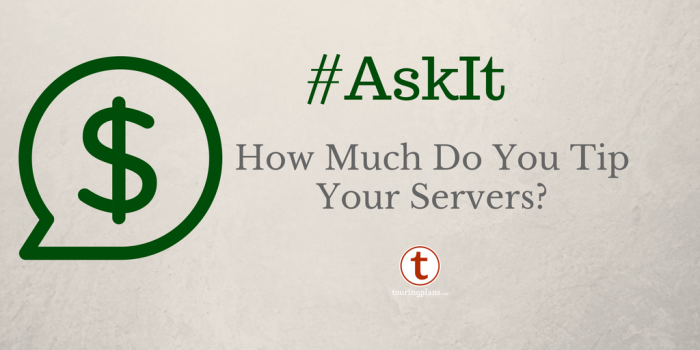 Ask It: How Much Do You Tip Your Servers? 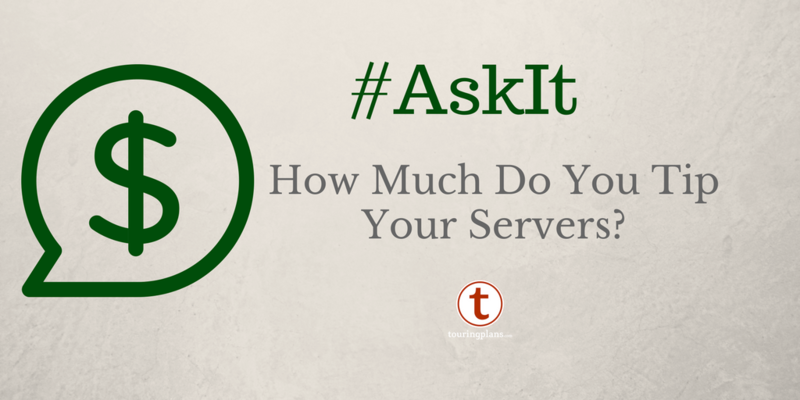 On average, how much do you tip your servers at a Disney table service restaurant? The poll is live here and on Twitter, and we’ll have your results next week. ← Ask It Results: A Stitch-y Question, What’s Best for Stitch in Tomorrowland? 20% on the pre-tax amount as long as the service is decent. 15% if service is bellow par (I hate when my drinks are not filled.) 10% if it’s atrocious (like they completely forgot that we were there.) But more often than not we do 20%. Also never fault servers for kitchen errors. That’s basically my policy 20%, 15% sub par, if it’s worse than sub par, you should talk to a manager about it, politely of course. I agree you shouldn’t blame the server for most kitchen errors. It’s not their fault if your medium rare steak comes out well done, however if they drop a burger on your table and no one ordered one, that’s on them since they took the order. This is me exactly. If they went so far beyond at something I might add something on the 20%. I would add an additional category for those whose tip is predetermined by disney. We use TiW, but this could also apply to those with large groups or whatnot. I am always a good tipper. However, the staff at the Disney restaurant really ticked me off. I went in as a party of 3 adults and 2 children. We had a babysitting issue, so we brought a 7 month old baby. He required no food or drinks, and not even a seat. They changed us to a family of 6, which should mean 6 diners, which again there wasn’t. While we paid (a fortune) for the 5 of us, they added the 18% tip since there were 6 humans there. I paid a $32 tip for someone to bring me drinks. It was a buffet, so we did all the work. I feel we were ripped off. Disney doesn’t charge for guests under age 3 at buffets. Where did this happen exactly? Not to try to discredit you, but I honestly find it hard to believe. Disney > Matthew, ie Matthew must be lying. You should have been tipping at least 18% even at a buffet, so I see no problem with the amount. Doesn’t sound like they charged you for 6 dinners only 5. They just added the pre-determined tip. If you really wanted to tip less, feel free to call the manager and explain why you want to stiff the waiter. Sarah, what a snarky way to put it. I didn’t want to stiff the waiter. I had to make this trip perfect, and I spent everything I had to do it. I got subpar food that cost a fortune, and 18% tip on the service I got was too much. I would have tipped 15%. 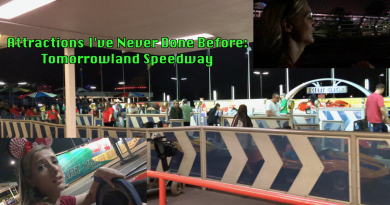 I’ll get back to making my wife’s last days beautiful, and I’ll just not expect Disney fanatics to have any heart for anyone but the poor CM, who must be pulling in Cardiology wages. Please, jab away. I deserve it apparently. Servers at buffets do a lot more than serve drinks. They clear dishes so you can go get another plate and they clean up after you leave. I recently tipped. Young children drop things off the table. I recently tipped more than 20% since we had 2 young children. I also think servers share tips with other CMs who work in the restaurant. It is Disney’s policy that an automatic gratuity is added for parties of 6 or more regardless of age. Disney also clearly states this at the top of every reservation we book. Each reservation we have to agree to the terms, the first of which is the 18% tips for parties of 6 or more and before a reservation is booked we have to check a box that says we agree to their terms. I can’t comment specifically on WDW but do know much about the food industry as a whole. -Wipe down all surfaces including seating, mirrors, decor, work surfaces and appliances. Surely others I’ve missed, maybe some CMs can confirm/add to this list. Most of us would be surprised to know all the responsibilities entailed or that often a shift starts and ends each with an hour of pure sidework where tips earned is zero during those times. This is similar to non-buffet servers as well. Most people assume the paid kitchen staff is doing everything and that is definitely NOT the case. If tipping is a burden, there are plenty of tasty counter service options. I had the exact same thing happen to us at Liberty Tree. 4 adults 1 child and one infant that spent most of her time in the stroller. We were charged an automatic 18% TIP. I almost always tip 18% anyway, but after that stunt I wished I had the option not to TIP. Actually, I’m not in a good place right now. Please forgive me if I’ve offended anyone. I’m just under so much stress. Take care everyone! We all have our days. Hang in there, hope it gets better soon. Once, calculating a tip while distracted, I accidentally tipped $28 on a $20 bill. 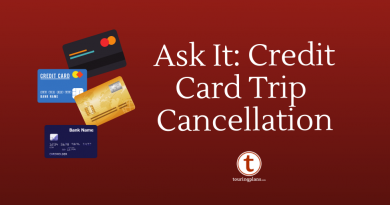 I gave the credit card slip to the server who walked away, glanced at the bill, did a double-take, came back to the table and said in a heartfelt manner, “Thank you so much. You have no idea how much this means to me, especially today.” and walked away showing the other servers. They looked at me and applauded. I realized then what I had done, but no way I was going to correct that bill. Stiff the waiter? Thanks for being a jerk. $32 at a buffet was a rip off. This was our last trip. My wife is dying. I took every bit of money from savings so we could have a great last memory with our grandchildren. I brought her home and 4 days later we’re in the hospital again. I didn’t want to stiff anyone. Hi Essie. That comment wasn’t for you. Sorry. I’m a bit technodummy. Matthew, I’m sorry to hear about your wife. I need to up my tipping, I’m a Brit but always try to ignore the UK thing of just 10% as I know the wait staff aren’t paid as well in the Us (I opt for c.12-22% depending on service). It seems like I need to add a few percent. I agree with Rach. As a fellow Brit we are used to only tipping wait staff 10%-15% depending on service, rather than the US etiquette of generously tipping any staff who provide you with a service. I understand that the pay situation is different in America. I’m glad on my next trip there will be 6 of us so we’ll automatically be charged 20%, meaning I don’t have to worry about getting it wrong, and yes if I receive exceptional service I’ll be adding extra to that too. I’ve learnt you need to factor that into your holiday budget. We absolutely need to tip for good service and at minimum what they deserve for such. I get it that many people feel different from 10-20%. However I disagree with ever tipping for poor service. I am not talking about doing the minimum, but I am talking about bad service being rewarded at the rates Disney charges is not fair to those who deserve it. I was choking one time and could not even get water. As a matter of fact, I only got 1 refill all night. Since we were on the dining plan, the Hoop De Doo waiter did not spend any time with us. He got 18% anyway. That’s not right. If they do average service, give them an average tip, but not the 20%. If they do poor service, they get next to nothing …..just as I would at my bonus should I do a poor work. This repeated behavior would weed out the poor performers and increase jobs for those that deserve it. Hi! Don’t forget – it’s always within your right to speak to a manager to have the tip removed on the auto-gratuities. Yes, it’s a bit of trouble – but it helps reinforce the message that poor service will not be rewarded, especially when it’s coming from their manager. I never tip less than 20% (well, maybe a few tenths of a point, since I always round off), and often more than 25%. I’ve had too many friends in food service over the years, and I know how much that couple of bucks can make a difference sometimes. I do only tip on the pre-tax amount – I don’t tip on the government’s share. However, if I have a discount, I also only tip on the pre-discount amount! That being said, I am an advocate for paying waitstaff a proper living wage and NOT tipping except for exceptional service (which is really what a tip *ought* to be). But until that change sweeps the industry, I will continue to tip as generously as I can. We mostly tipped about 20% during our last WDW vacation. Prices, though are so high at many of the WDW restaurants, especially the buffets that we probably tipped closer to 15% at a few places. I tend to think I tip well with averaging 20%. We are frequently a larger party so the tip is auto calculated for us and we add on to that amount. 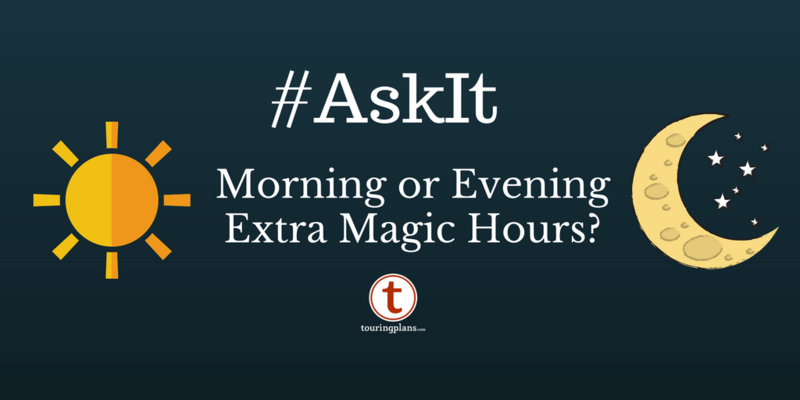 For places like Skipper’s Canteen or 50’s Prime Time where your server is part of the ‘show’ we tip 25% and up. Staying in character and taking care of our table should be recognized for its difficulty! When I eat table service, it’s with kosher food, and it requires knowledge of the situation and assisting in any way possible. If they do a good job (which they usually do), it’s at least 20% and goes up from there. What I can’t understand about percentage tipping is that if a waiter is serving 2 tables each with 4 guests and the bill from table 1 comes to say $200 and the bill from table 2 comes to $100. The waiter has provided exactly the same service to both tables. Both tables decide to tip 20% – table 1 would tip $40 dollars and table 2 would tip $20 dollars – but they got exactly the same service! Is it a case of if you can afford a more expensive meal, you can afford a larger tip? However, not sure if there is a better way of working a tip out – I am glad to see it worked out on the bill as it save us having to work it out ourselves! Obviously if more courses are ordered, it is more work and skill to serve correctly. I think you may be referring to the difference between a $50 and $25 entree where one person is tipping around $4 and the other around $8 for saeemingly the same service? Sometimes there is more work involved such as prep, timing and execution not to mention more risk on the server’s behalf because if anything goes wrong, management will be pissed taking that higher price off the bill. Your server likely gives your table priority over others if you’re ordering high end goods because their job depends on it. Making it “look easy” is actually a skill as they ensure your comfort by hiding all the stress it takes to execute your meal properly. You still have a point, though it goes both ways. Some guests order the cheapest items on the menu and request a bunch of changes, split them asking for extra plates and everything on “the side” to make it acceptable to all who are sharing, require extra rounds of free bread and water to put their personal Crystal Lite in. Should they feel generous leaving a 15% tip? Say a party is celebrating and ordering high end liquor, your point is well made. Bringing over a tray of 4 $10 drinks or 4 $25 drinks doesn’t seem much different to increase that tip by 250%. Again it is more stressful and may need more prep, hard to say. Overall I just remember these servers are by no means getting rich, lol.